The best thing about cycling sportives is definitely the feed stations. Tables piled high with cakes, biscuits, chocolate, fruit, energy bars and gels for the hungry cyclists. The worst thing is having to clean my bike off after the ride. I tend to just put away in the shed and forget about the mud and muck until my next cycle. 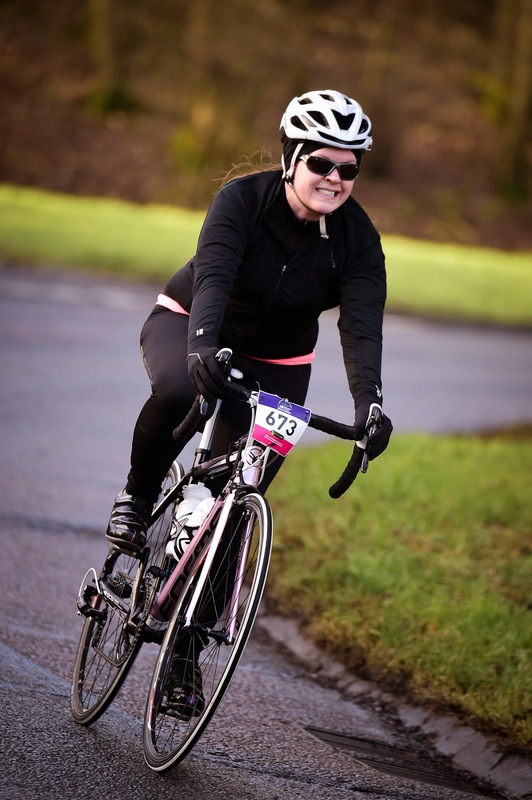 On Sunday, I took part in the Ordnance Survey Equalizer Sportive. In my efforts to get in the winter training miles on the bike, I’m always looking out for organised cycling events to get involved in. Sportives are great way to explore a new area of the country, without the hassle of planning a route or stopping to check a map. Plus there is a medal which is always a bonus! The event started from Colchester Football Club, so there was plenty of car parking and toilet facilities available before the ride. Arriving in good time, I collected my number and timing chip, checked my bike over and joined the group of riders waiting to start. The marshals set us off in groups at 2 minute intervals, with a brief safety talk before each wave. We were advised that there were icy patches out on the roads and to take care when taking corners. 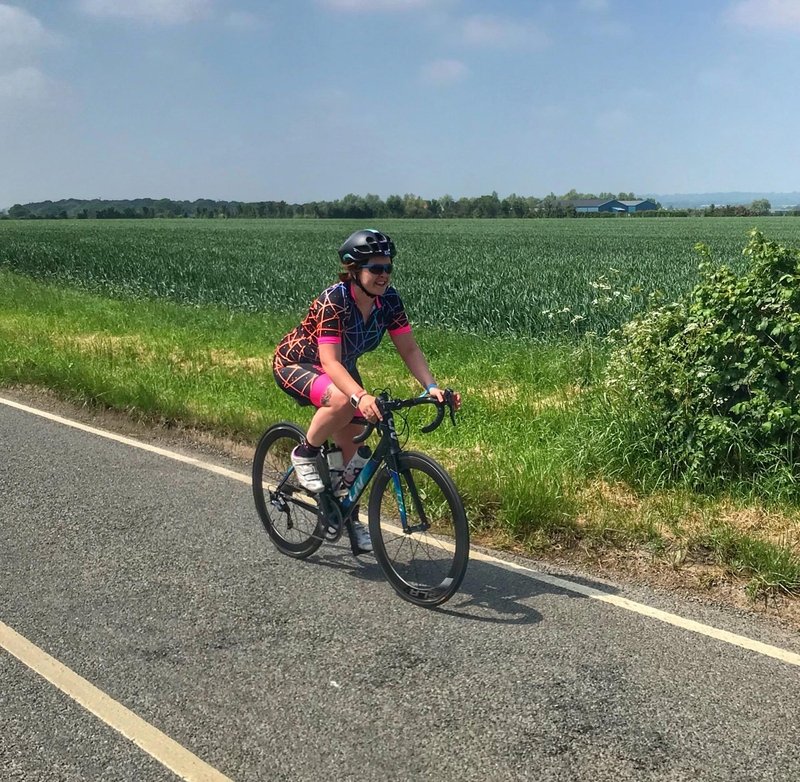 The route took us along quiet country lanes through picturesque villages on the Essex/Suffolk border and crossed the River Stour at several points on the course. The ride was fairly challenging with undulating hills providing over 1600ft of climbing. Red signposts appeared throughout the course marking the route clearly, so it was fairly impossible to get lost! This was the first time I’d cycled ‘alone’ on a training ride. I usually ride in a group with some friends from my triathlon club, and the focus is on keeping up with the faster cyclists whilst stopping occasionally to let the slower riders catch up. This time I could go at my own speed and focus on my own pacing. At mile 21, the rest station came into view. I hopped off the bike for around 10-15 minutes to refuel and rehydrate. My toes were numb with the cold- I’ve heard a great tip involving wrapping the feet in tin foil before putting on socks to conserve heat. I must try this on my next ride! With two distances on offer- the Epic 60 mile route or the Standard 39 mile version- I opted for the shorter distance. The route split after 26 miles to take the Epic distance riders on an additional loop making up the total distance. I was totally alone for the final 13 miles of the sportive with no other riders in sight- I did wonder if I’d taken a wrong turn, but the red signs reassured me I was on the right route. I was starting to fatigue after around 30 miles- the constant headwind was making it tough to keep momentum on the succession of hard ascents in the last few miles. I was glad to see the football stadium come back into view, where I crossed the finish line and collected my medal. I noticed there were very few females riding this sportive- I’d estimate less than 10% of the participants were women. I was overtaken by plenty of men in lycra, but no women passed me at all! I achieved the Silver award based on my time of 2:58:34. If I had spent less time eating flapjacks at the feed station, I possibly could have achieved the Gold award, but cakes are totally necessary on long cycles so I’ll let that one slide! Considering I only began cycling last summer, I’m really pleased with the progress I’ve made in terms of confidence on the bike. Have you ever taken part in a cycling sportive?